Fix a bug that in MNova 6.0.0 for Bruker 2D datasets the f2 line shape was wavy. 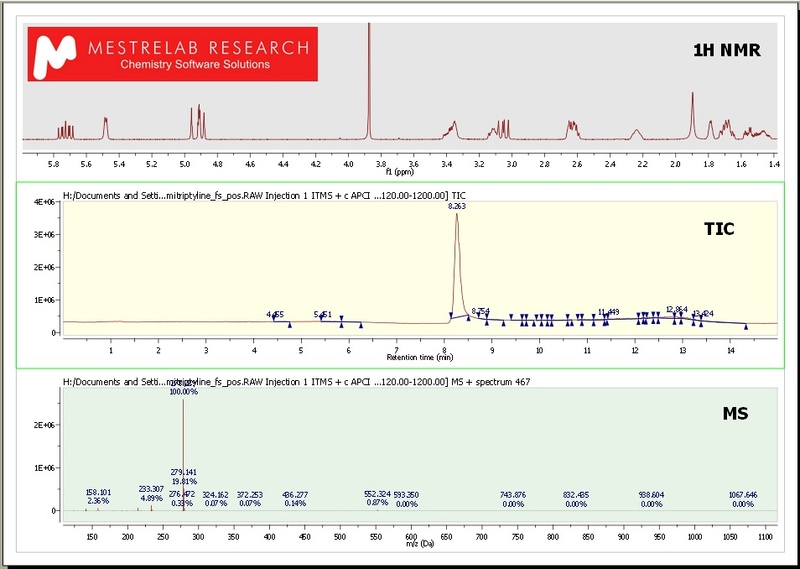 • Mass plugin (Windows only) Mnova incorporates a new plugin to process LC/GC chromatograms and mass spectra. 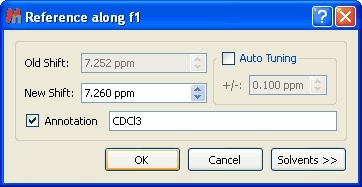 The new Mnova MS plugin gives the chemist the ability to work with LC/GC/MS data in combination with NMR data, within a single document. Modify Filter parameter auto-detection algorithm for Whittaker baseline correction. • Licensing improvementsMnova is able to handle different plugins independently, allowing users to only take the plugins they are using as opposed to the plugins which are installed. In addition, from the ‘Plugins Preference’ dialog box, it will be possible to ignore any plugin, (which will be very useful in the case of concurrent or floating licenses), in order to ‘liberate’ the license of those plugins which will not in use. • Capability to customize the format of the titleIt is also possible to show the title on your spectrum just by checking the ‘Title’ check box of the ‘Spectrum/Common’ properties. You can also customize the format of the title by adding ‘Line Breaks’, desired ‘Parameters’ (Name, Dimension, Max Length or Position), any ‘Path’ (Level, Max Length or Position) or the ‘Spectrum Number’. Fix a bug that the documents saved with pre-5.3.2 version of MNova and opened with MNova 6.0.0 have spectral title on.